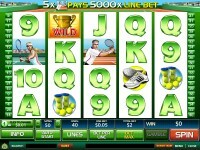 Tennis Stars is a new 5-reel 40-payline slot machine powered by Playtech software. The game is based on the popular sport, which is obvious by the title, and boasts awesome payouts, multipliers, wilds, scatters and bonus features. The payout potential is the most attractive feature in the game, and has a jackpot of 5,000 coins for a single line win in normal mode, and 15,000 coins during the free games. No matter what amount you are betting, hitting one of those wins would be nice. The wild symbol is the Trophy and it acts as a substitute for all other icons in the game, except the scatter of course. 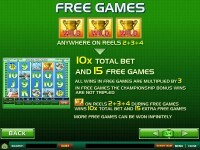 The unique symbol only appears on the middle reels, and if it appears on all three reels at one time, you are rewarded with 10x the total wager and the free spins are initiated. 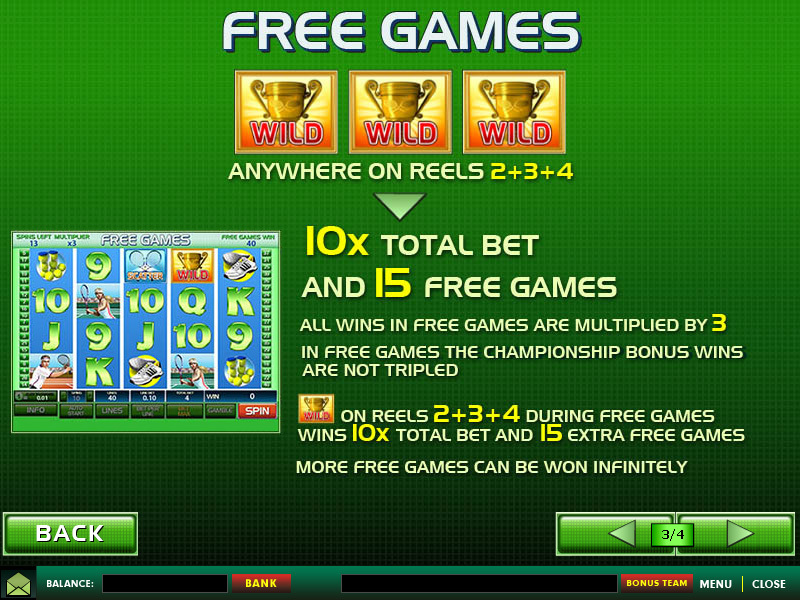 When the free games are initiated 15 free spins are awarded with a x3 multiplier for all wins made during the bonus. The free games can be re-triggered. 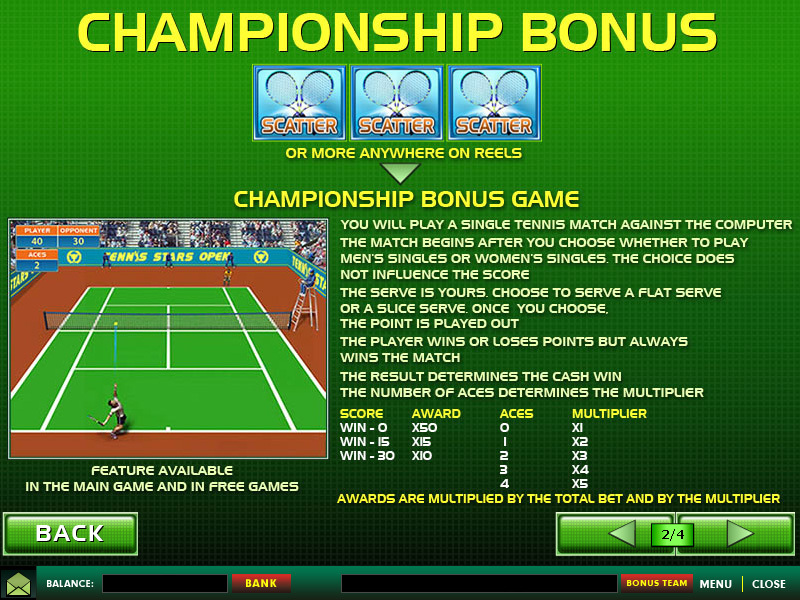 The scatter is the Tennis Racket and once three or more scatters appear on any spot on the screen in a single spin, the Championship Bonus Round is activated. 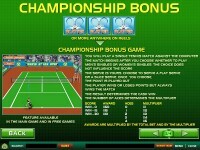 Once the game is triggered, you are taken to a second screen where you will take part in a tennis match against the computer opponent. You can select to participate in the Men’s Final or Women’s Final event and choose between a “Flat Serve” and a “Slice Serve”. Should you serve and not get one in return you will win an ace, which will increase your win multiplier by 1x and depending on how you defeat your competition, the prizes can be huge in the bonus game. 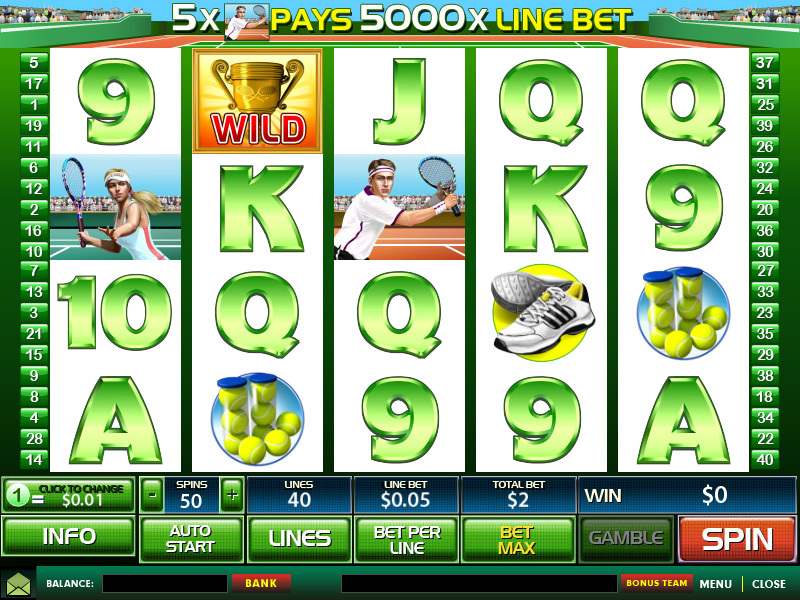 Tennis lovers will definitely enjoy this game, as well as all slot lovers who enjoy an interactive bonus feature. You can find this slot at any Playtech powered online casino. If you need help finding casino to play Tennis Stars Slot, check our list of preferred Playtech online casinos to get started.